Ideal for fixing new doors to an existing carcass. 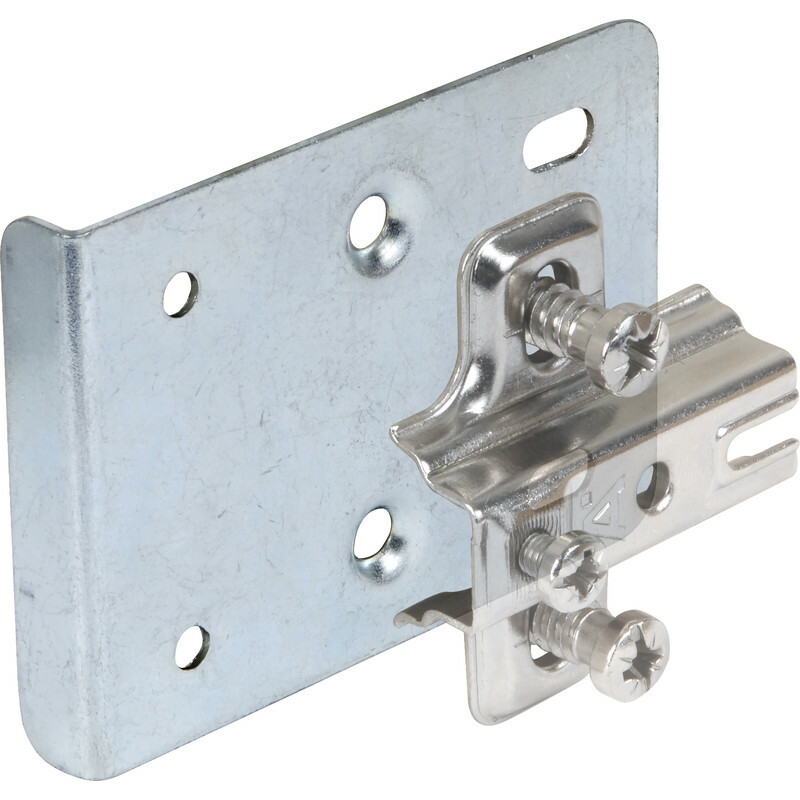 Set includes: 2 x mounting plates (55 x 44 x 11mm) and 4 x screws. For use with hinge mounting plates (not included). Hafele Hinge Repair Kit (2 Pack) is rated 4.9 out of 5 by 23. Rated 5 out of 5 by Dr Mike from Brilliant MDF/chipboard/particle board casings and heavy doors = hinge screws pulling out of holes and doors falling off. Remedy= get these! Rated 5 out of 5 by Colinwert from Everything in kit Found these to repair a fallen door in my kitchen cupboards, so easy to fit, lined up exactly and all Screws supplied door stronger than when it was new. Rated 5 out of 5 by clachman from did the job Easy to fit and works well.